"Some music is just that good that you want to listen to it over and over ... one great song after another ... I can’t think of a reason not to recommend it highly!" 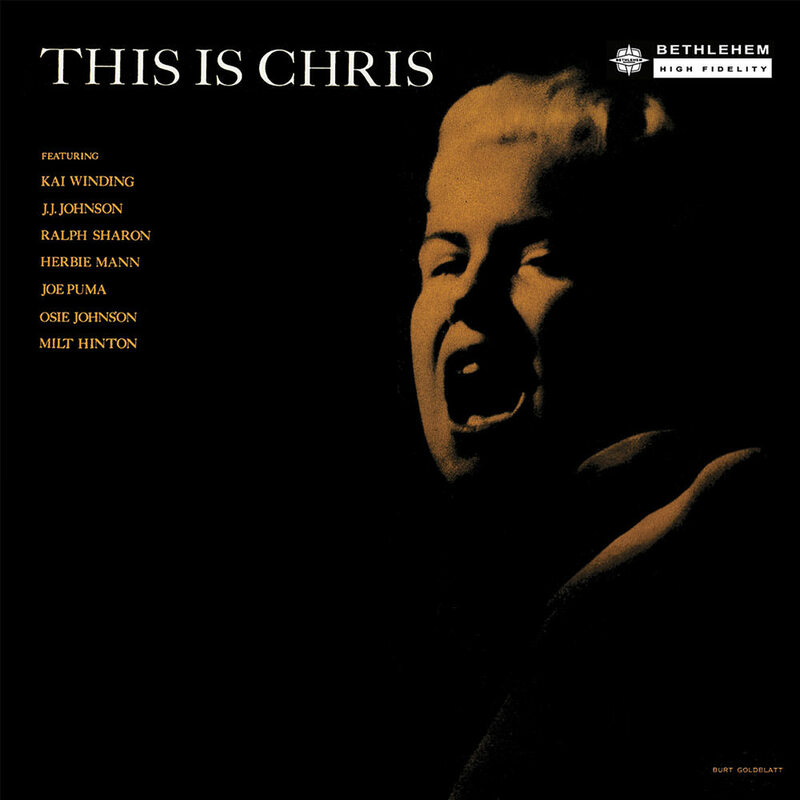 The third and final Chris Connor recording for Bethlehem, this 1955 release is considered one of her best and was recorded as her star was rising high, with a spectacular studio band consisting of Herbie Mann on flute, J.J. Johnson and Kai Winding on trombones, Ralph Sharon on piano, guitarist Joe Puma, bassist Milt Hinton and drummer Osie Johnson. "Putting me with such small groups was Creed Taylor’s genius. He somehow knew I could pull the listener in hard if all the clutter was out of my way. Even the Bethlehem recordings with Herbie Mann and Kai and J.J. in 1955 were pretty relaxed and suited to my style."